Today’s giving: Engineering class at lunch, DI meeting tonight, and my most favorite — Wrote “I Love You” on a pad of stickies and plastered all over the inside of my wife’s van. I wouldn’t have been able to get as far as I have with this challenge if I wasn’t planning ahead to the next day’s giving. 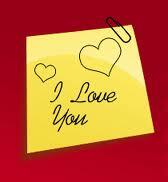 Sometimes we have to plan our giving, even its just writing “I Love You” on a sticky. Happy Valentine’s Day! I love the stickies all over the van. What a great surprise for Valentine’s Day!